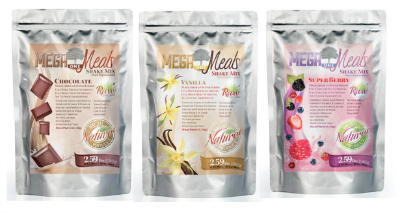 We’re happy to bring you an amazing giveaway today: Mega One Meal Replacement Shakes from Legacy Foods! 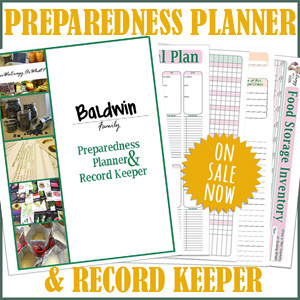 These are a great product to have on hand for your long-term food storage and I’m planning on tossing some in my bug out bag! 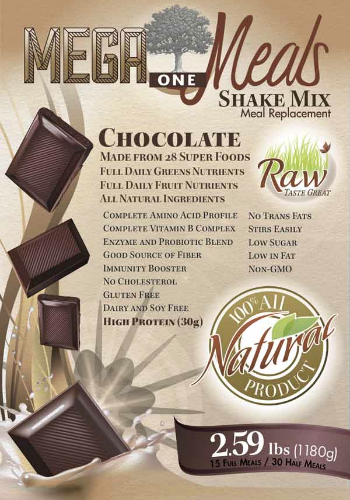 Mega One Meals Shake Mix is a meal replacement shake with great reviews! These shakes come in a Mylar bag, so they are great for long-term food storage (especially with a shelf life of over 10 years!) but they are also great for every day use. 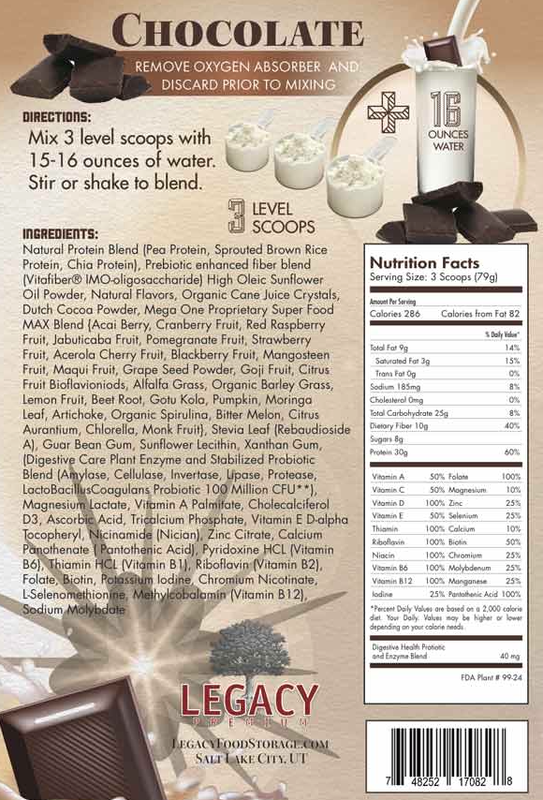 They are very nutritionally dense and the ingredients include 28 superfoods. One full serving provides all of your greens for a whole day, making these a great item to take on a camping/hiking trip! If you aren’t a chocoholic, they also have SuperBerry and Vanilla. If you don’t want to wait to win, you can purchase them individually or buy a variety pack. Each package contains 15 full servings or 30 light servings. It’s very easy to make too – just add three scoops of the mix to 15-16 ounces of water & stir/shake. Enjoy! 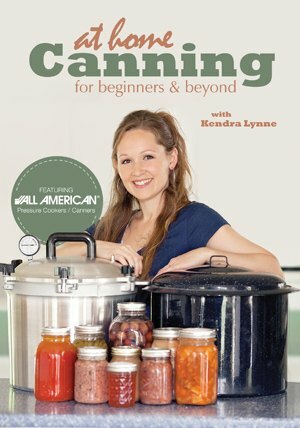 This tasty giveaway is hosted by SavvyShopperCentral.com, 76Unity.com, & PinkCamoGirl.com and sponsored by PrepareWise.com! 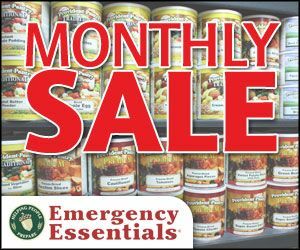 Have you ever tried anything from Legacy Foods before? If so, what did you like the best? Let me know in the comments! 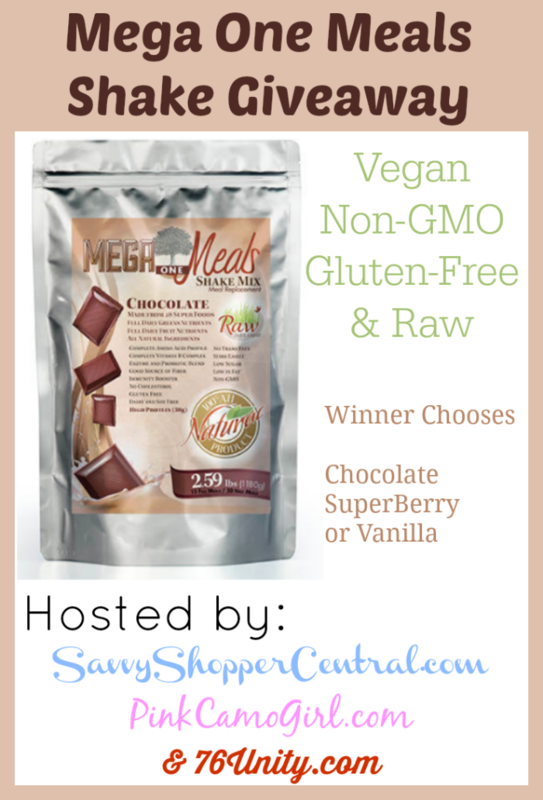 Enter to win your own Mega One Meal Replacement Shake from Legacy Foods!